According to the original definition of mechatronics that the Yasakawa Electric Company proposed and the definitions that have since appeared, many engineering products designed and manufactured in the last thirty years that integrate mechanical and electrical systems can be classified as mechatronic systems. The word mechatronics is composed of "mecha" from mechanism and the "tronics" from electronics. In other words, technologies and developed products will be incorporating electronics more and more intimately and organically into mechanisms, making it impossible to tell where one ends and the other begins. Where is mechatronics today? The advent of the microcomputer, embedded computers, and associated information technologies and software advances have led to important advances in mechatronics. For example, consider the automobile. In the early stages of automobile design, the radio was the only significant electronics in it. All other functions were entirely mechanical or electrical. Today, there are about 30–60 microcontrollers in a car. And with the drive to develop modular systems for plug-n-play mechatronics subsystems, this is expected to increase. 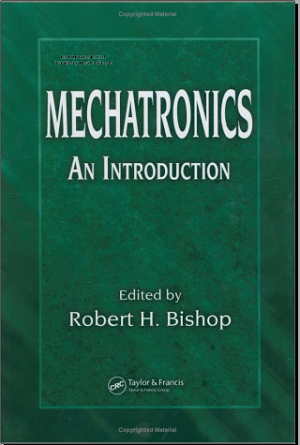 Mechatronics: An Introduction provides an introduction to the vibrant field of mechatronics. As the historical divisions between the various branches of engineering and computer science become less clearly defined, the mechatronics specialty provides a roadmap for nontraditional engineering students studying within the traditional structure of most engineering colleges. Evidently, mechatronics aboratories and classes in the university environment are expanding world-wide. The list of contributors to this book that includes authors from around the globe reflects this.